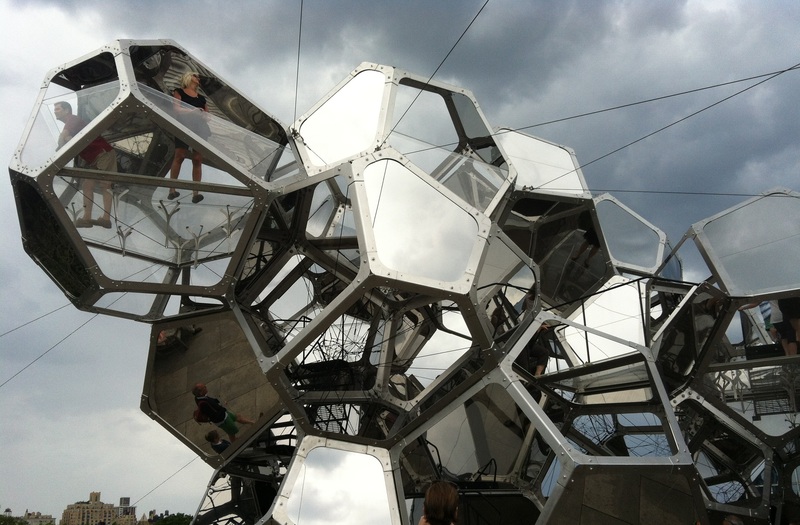 For a gorgeous hot summer afternoon, a must see is this season’s Met Roof Top installation is by Argentine architect Tomás Saraceno titled Cloud City. The reflections of the glass surfaces mirror sky and tree tops as they intersect with windows and metal rivets creating a stunning illusion of land and sky hovering above you. On the clever marketing angle, the offer the Cloud City cocktail, a toxic blue drink that comes with a dry ice stirstick!